Coolibar: A wonderful brand and a remarkable girl-friendly workplace. 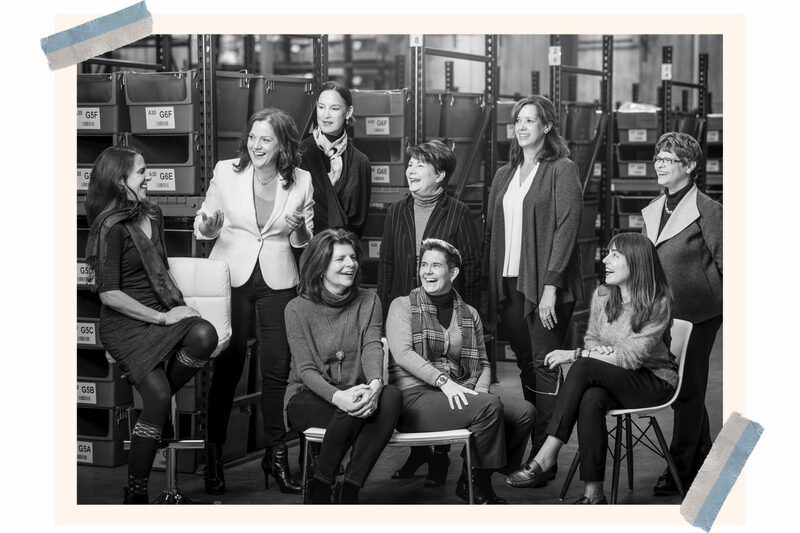 Recently, we detected a whispering campaign about how this Minnesota based clothing manufactory is staffed and managed overwhelmingly by women and most senior positions are held by, well, seniors. We wanted to know more about what it’s really like to work with so much estrogen (or specifically declining estrogen) and so much terrific life experience. Coolibar is a brand dedicated, and we mean dedicated, to keeping the world safe from sun damage, to protect those who suffer from a sun-related medical condition and to prevent everyone else from developing one. They make stylish sports gear and ath-leisure for men and women from state of the art fabrics that will keep you warm, dry and safe. UPF and not SPF is the standard applied to what protection a fabric covering can provide. A garment with a UPF of 50 only allows 1/50th of the UV radiation falling on the surface of the garment to pass through it. “Safe” is their ultimate goal and not just a talking point, We had a group “chat” with 8 of their over 50 senior managers and their insightful responses gives us the confidence to imagine a world, not just a “me, too” universe where this no- nonsense style of management is good for all. The women we spoke to were careful to avoid casting a vote for any particular gender bias, but it seems there is proof in results—almost 20 years old, Coolibar is thriving. Is working with women more challenging? Why? Do women play differently in the working sandbox? Is the environment competitive? In general, men are more cut-and-dry. Women have an emotion and thoughtfulness. We need both. Working with women is great. Working with men is great. Ann Olson, 54, is Chief Information Officer. Yes. Women and men work differently. They both have their own challenges—it’s about learning about each individual and working to understand what makes them excel. Lisa O’Brien, 60, is a Senior Inventory Analyst. I do not see working with women as competitive. We’re all confident in our own abilities and in each other, so we don’t see the need to compete. Claire Miller, 56, is the Head of Merchandising and Fit. It depends on the women. Overall women tend to be more collaborative which is great, but sometimes it takes longer to get to a final good decision. My current position working as a brand designer within the marketing department at Coolibar is different in just about every way. Accountability plays a huge factor within a company like Coolibar. We are a small company with a big impact. This type of structure eliminates a dominance in any particular group/class/race. No matter what your position, you are expected to deliver. Employees all seem to understand this and choose to help one another do their best and vice versa. I find this to be very refreshing and it makes me appreciate coming to work each day. Do you feel a personal responsibility to hire more women? Women over 50? I feel it is important to leverage wisdom of the over 50 set to balance nurturing younger employees, diversity is key to great decision making. Anne White, 53, VP Brand Marketing & Creative Services. I’m excited when I get resumes for applicants (male and female) over 50 because I’ve heard so many stories about age bias. But ultimately, I hire the right person for the job, which means their qualifications and their potential fit with the team and corporate culture. Is there a traditional boss/assistant paradigm at Coolibar? Does anyone have to get the coffee? Nobody gets coffee for anyone at Coolibar. If needed, we all go in the warehouse and ship when busy. We all make copies and help each other out. We are too small for any kind of attitude. Vickie Morris, 53, is the VP of Wholesale. We run a very flat organization and the accessibility is AWESOME from the CEO level to part-time team members. We all help each other out. One team, one dream! I am leading a new team that—oh by the way—now happens to be nearly all female. Ultimately, I am a professional partner to everyone (regardless of gender) on the team that strives to be part of a group of committed individuals. We work together to lift each other up through support and collaboration, not independent contribution. Lisa Olsen, 59, is Director of Human Resources. In comparison to where I’ve been, Coolibar feels evolved. It is less outwardly macho. More male, female interaction…. you definitely see it in the youngest generation where they are just friends and don’t have those old male, female defined roles in their friendships or working relationships. If you had a work superpower, what would it be? The best superpower to have is being a woman in a male-dominated workplace. You can get a lot accomplished when you’re consistently underestimated and/or ignored. Learn the skills, gain the experience, network like heck, and then move on to a better position in a betterplace. BAM! POW!! Creating an environment that embodies the idea that work is supposed to be fun. We are the authors of our own story and we need to make it a fun one.